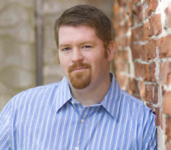 Brent Weeks was born and raised in Montana. After getting his paper keys from Hillsdale College, Brent had brief stints walking the earth like Caine from Kung Fu, tending bar, and corrupting the youth. (Not at the same time.) He started writing on bar napkins, then on lesson plans, then full time. Eventually, someone paid him for it. Brent lives in Oregon with his wife, Kristi. He doesn’t own cats or wear a ponytail. You can read chapter one of The Way of Shadows at Brent Weeks‘s website. In the back-alley slums of Cenaria, a guild rat named Azoth hopes to survive by becoming the apprentice of Durzo Blint, who is the best of the wetboys — the most elite of assassins. To do this he must unquestioningly follow Durzo’s every command, accept that life — anyone’s life — is worthless, and forget everyone he knew in his old life. He must become Kylar Stern: gentleman by day, stone-cold killer by night. Though Azoth doesn't know it, as Kylar he is destined for much bigger things. 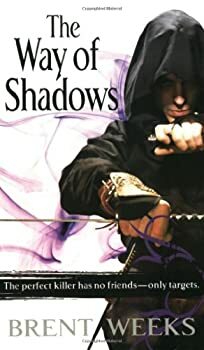 I like stories with strong criminal elements, action, and intrigue — all of which The Way of Shadows has. The plot has so much potential, but I went from interested, to briefly revolted, to almost started to like it, to bored, and ended up forcing myself to finish the book. I read Brent Weeks’s debut novel The Way of Shadows some time ago. It was not a brilliant book but it kept me entertained enough to try the second part in the NIGHT ANGEL trilogy, Shadow's Edge. On the whole I liked Shadow's Edge much better than The Way of Shadows. With the wider scope of the story, it is a much more satisfying read, though it still has a number of annoying flaws. I hate to leave a series unfinished if it is at all palatable, and while the first two books of the NIGHT ANGEL trilogy were not brilliant, I still couldn't stay away from the final book. In Beyond the Shadows Weeks continues the relentless action we saw in the first two books. 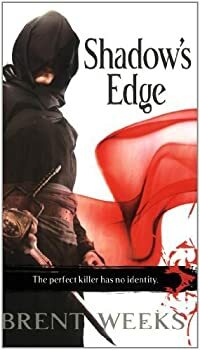 After reading Shadow’s Edge, which was a lot better than the first volume, The Way of Shadows, I had hoped the series would continue improving. 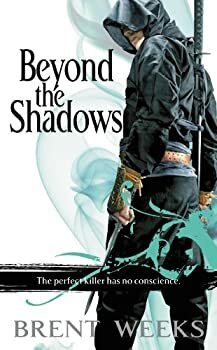 Unfortunately, Beyond the Shadows is a bit of an unfocussed book, better than the first book but not quite as good as the second. Lightbringer — (2010-2016) Publisher: The world attempts to heal in the aftermath of a savage war, which took place sixteen years ago. Now all is ordered and controlled by the world’s only magic school, the Chromeria, which keeps a tight political reign on all nations through its acolytes’ highly-sought abilities. By manipulating the colour spectrum, these gifted individuals gain access to great power, and the head of the Chromeria is the most powerful of his generation. Supposedly. Yet Gavin is living a lie, and those closest to him are near to discovering his secret, while another long-dormant issue is about to become critical. Gavin defeated his malevolent twin Jarven at the height of the last war but Jarven’s prison won’t hold him for much longer. Balance is vital in a world where magic controls all from the weather, to the harvest to war. Now that balance is about to change. Click here for more stories by Brent Weeks.